WonderWORK	There are 5 products. 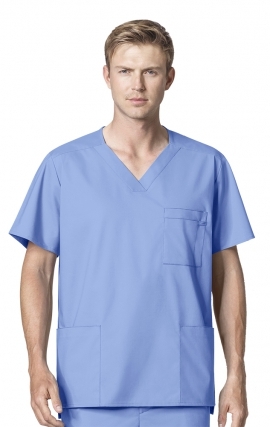 ONE FOR ALL65% polyester/35% cottonXXS - 5XL The WonderWink WonderWORK Scrubs 100 unisex fit v-neck top has a double chest pocket with utility loop. 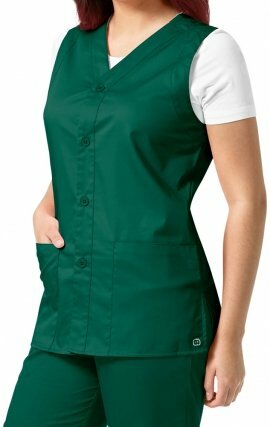 Set-in sleeves and side vents complete the look of this top. 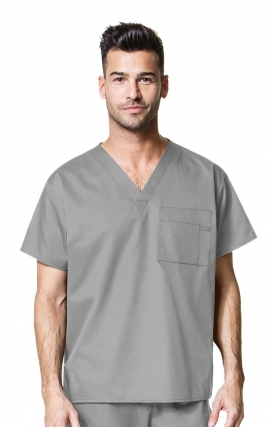 Fabric is 65% polyester/35% cotton active twill.The approximate length for size M is 27.75". 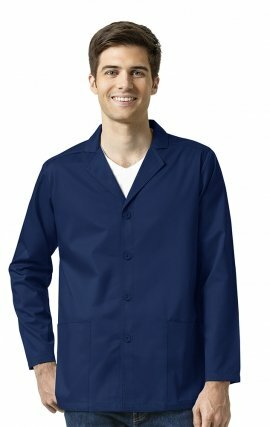 WonderWORK Unisex V-Neck Scrub Top - V-neck- Double chest pocket with utility loop- Side slits- Medium center back length: 27 3/4"